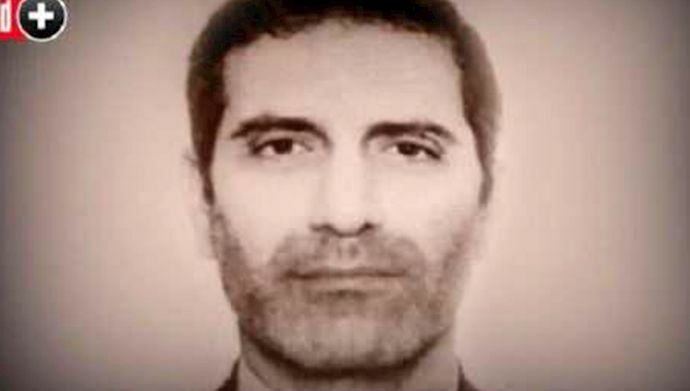 On October 10th, Belgian prosecutors announced that Iranian regime diplomat Assadollah Assadi and three other Iranians were charged with attempting to bomb the National Council of Resistance of Iran’s (NCRI) annual gathering outside of Paris in June. This announcement came after months of drama, threats, lies, and pressure from the Iranian regime after a foiled terrorist attack that could have killed or injured hundreds and led to war if it had been successful. On June 30th, 2018, tens of thousands of supporters of the MEK, along with foreign dignitaries and political figures from around the world gathered outside of Paris for the NCRI’s annual gathering. On the day of the gathering, Belgian police arrested Nasimeh Naami and Amir Saadouni, a Belgian couple of Iranian descent, en route to the gathering carrying 500 grams of TATP explosives and a detonator. French police arrested another Iranian that day at the site of the rally. The man, identified only as Mehrdad A., is accused of being an accomplice in the foiled bombing. German police arrested Iranian diplomat Assadollah Assadi the following day after he stopped for gas outside of Aschaffenburg, Germany. Police called in a bomb squad to search his rented van, fearful that he might also be in possession of explosives. Assadi is charged with plotting the attack and personally delivering the explosives to the couple who was arrested in Belgium. The attempted terrorist attack on the NCRI gathering by an Iranian diplomat created a political disaster for the mullahs’ regime in multiple countries in Western Europe. 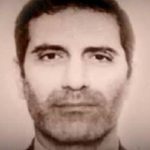 Before his arrest, Assadi was an Iranian diplomat and a high-ranking Ministry for the regime’s Intelligence and Security (MOIS) officer, working as a station chief in the Iranian embassy in Austria. The spokesperson for the regime Foreign Ministry Bahram Qassemi then told reporters that Iran had evidence that a terrorist organization (other than the Iranian regime) planned the attack. He could not produce any of this evidence, but he assured anyone who would listen that Iran definitely had it. “The latest scenario has been planned and carried out to damage Iran-Europe ties amid such sensitive and crucial times,” claimed Qassemi. Austria responded to the Assadi’s arrest swiftly, asking Iran to strip him of his diplomatic status. Austria gave Iran 48 hours to comply with its request, and when Iran refused, did so itself. Belgian authorities requested Assadi’s extradition, on the grounds that the Assadi gave explosives to the couple who was arrested while they were all in Belgium. Assadi’s defense attorneys attempted to argue that he has diplomatic immunity under the Vienna Convention on Diplomatic Relations and could not be tried for his crimes. Sources report that Iranian officials planned to pressure the Austrian government to send Assadi back to Iran if he was released from German detention so that he could avoid facing justice at all. On October 1st, the Bamberg State Court in Germany approved Assadi’s extradition, saying in its ruling that diplomatic immunity did not apply because Assadi was not in Austria or Iran when the crime occurred.